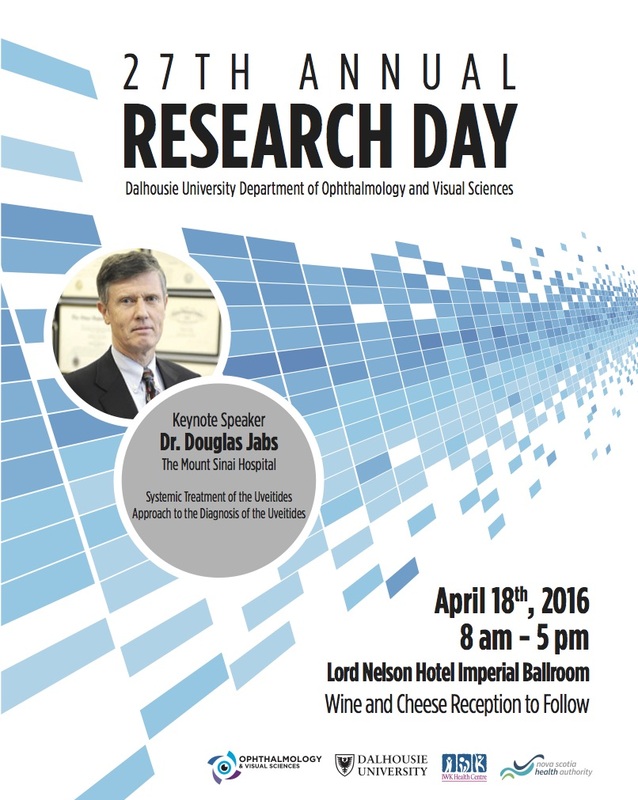 On April 9, 2018, faculty and students attended the 29th Annual Department of Ophthalmology and Visual Sciences Research Day, a full-day symposium at the Westin Nova Scotian. This event showcased the current basic science and clinical research carried out in our department and in collaboration with departments both within and outside Dalhousie. 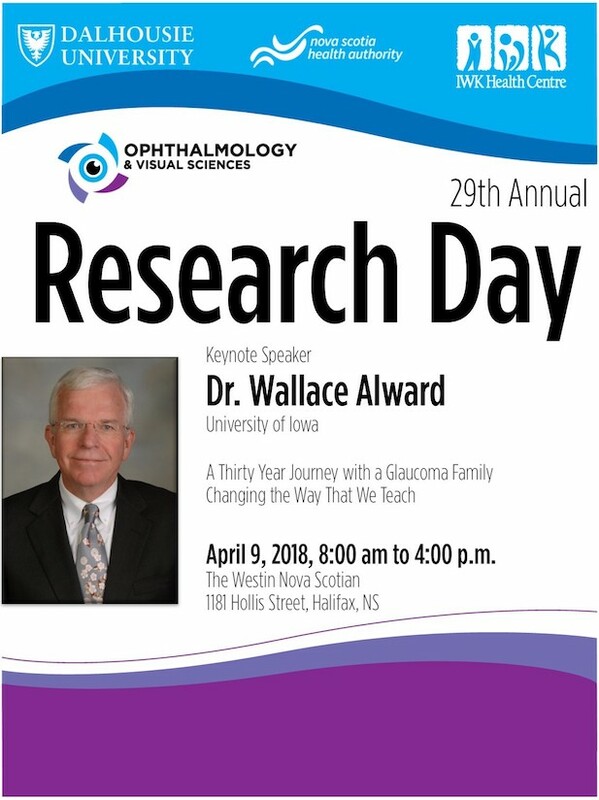 The Keynote Lecturer, Dr. Wallace Alward, from the University of Iowa, delivered two excellent presentations entitled “A Thirty Year Journey with a Glaucoma Family” and “Changing the Way We Teach”. 1st Prize: Brennan Eadie “Optical coherence tomography parameters distinguishing post-acute phase ischemic and glaucomatous optic neuropathies"